I have a good memory. A freakishly good memory. Not good enough to ace my SATs in high school or anything. But good enough to pull out my 3rd grade class photo and be able to recall the first and last name of over half the class. I remember people I went to high school with who have no clue or recollection of who I am. I think I've even scared a few when I approached them and asked if they were so and so from the class of 1997. Yet despite this trove of archives in my brain, I seem to forget daily or weekly tasks quite readily. Just last week I was having discussion with my husband. Dinner was almost done dooking when he asked me what that burning smell was. I gasped and ran to the stove. 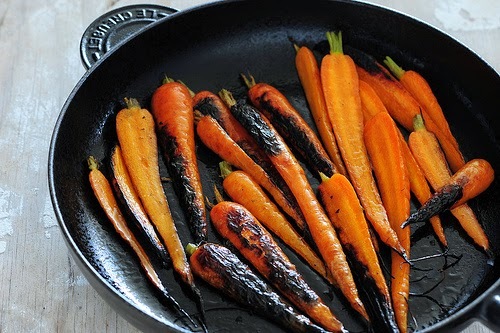 And there sat a pot of burned carrots. They were charred and black and stuck to the bottom of the pan. I was so frustrated! I was already having a rough day and I couldn't even boil pot of sliced carrots without burning them!